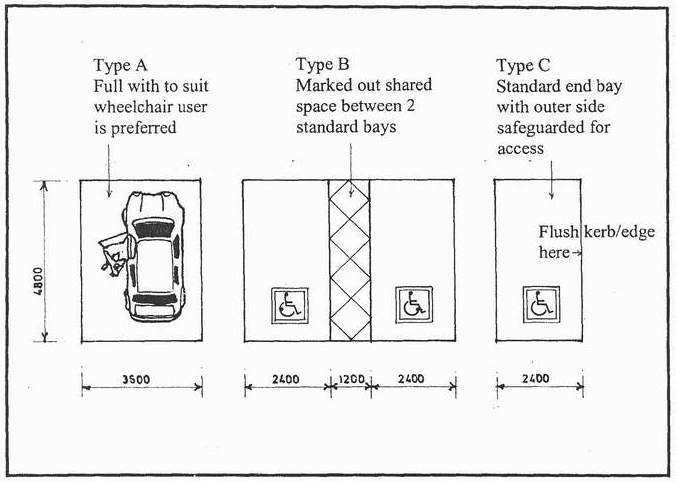 Accessible parking spaces should be located on the shortest accessible route into a building or facility, and should be roofed wherever possible. Parking areas should have enough clear space around them so that disabled persons can get into and out of a car. Reserved parking spaces for vehicles carrying persons with disabilities should be provided, indicated by the universally accepted symbol. Access route from parking lots to the building should be accessible by wheel chair users.